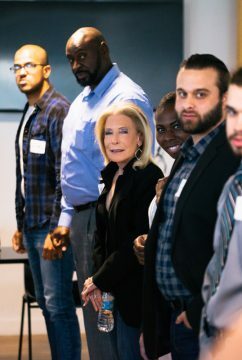 NYFA MA Screenwriting alum Rosa Falu-Carrion. 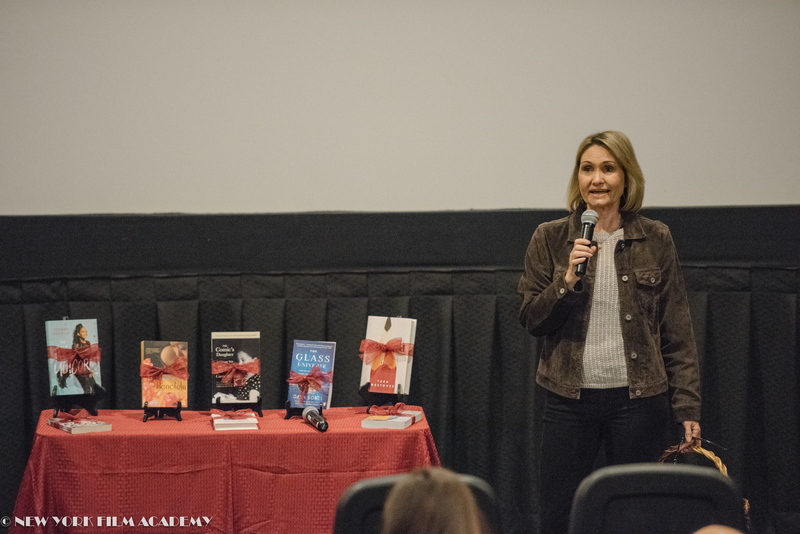 New York Film Academy (NYFA) MA Screenwriting alum Rosa Falu-Carrion was the keynote speaker at the seventh annual Luna Fest, hosted by the Burbank Chapter of Zonta International. 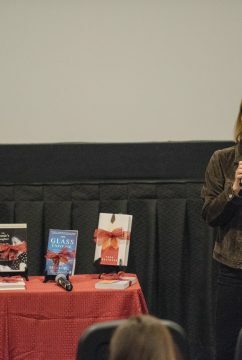 Held at the Laemmle Theater in North Hollywood, the festival featured films by women, for women. The powerful stories portrayed in the Luna Fest touched each NYFA staff and faculty member in the audience. The Luna Film Festival is just one way in which the local chapter of Zonta International helps female filmmakers. 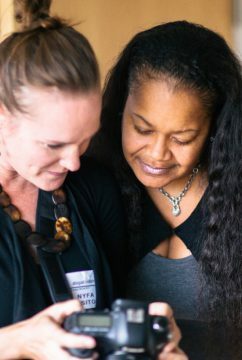 Proceeds from the Luna Film Festival ticket sales help fund the Wings Grant, which helps support women looking to further their education after enduring a hardship. 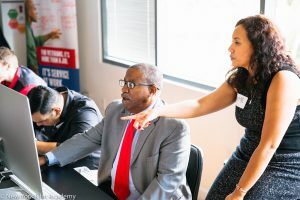 Falu-Carrion shared her story of how the Wings Grant helped to open new possibilities for her at a crossroads in her life. 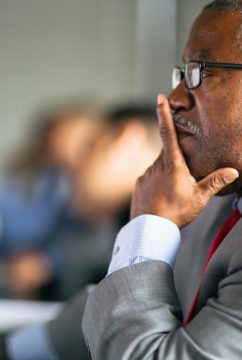 When her husband died, Falu-Carrion wasn’t sure what to do with her life next. 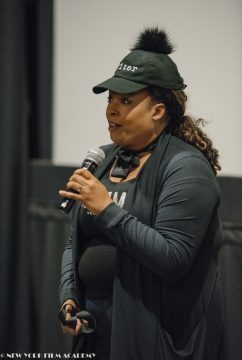 The former event planner found solace in watching films. As Falu-Carrion watched new movies being released, she realized she didn’t see a lot of characters that looked like her. 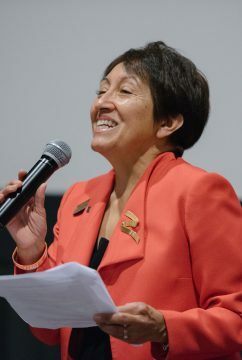 Falu-Carrion credits the “intenese” education she received in the New York Film Academy Los Angeles’ MA Screenwriting program with her success. “I was surprised, at my age, that I had enough brain energy,” she joked. The intensity of the MA program was a motivator for Falu-Carrion, who said she never backs away from a challenge. Called “Mama Rosa” by her classmates, she was inspired by her instructors and motivated by her classmates. The first graduating MA class at NYFA Los Angeles was small but mighty. “We were tight,” Falu-Carrion recalled. “We helped each other through it.” She boasted that the entire class made sure they graduated as a team. “We left no man behind,” she said. 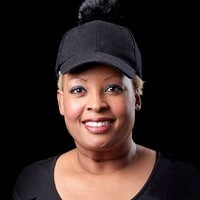 Falu-Carrion encouraged anyone hesitant about getting into the industry to think of her story. “I was scared on my first day,” she admitted. “I was 45 years old. I thought, ‘What am I doing with these 20-year-olds? '” Yet, she knew that her perspective was a unique one and it didn’t take long for Falu-Carrion to see the fruits of her labor. At the end of the program, she had a script ready to sell. 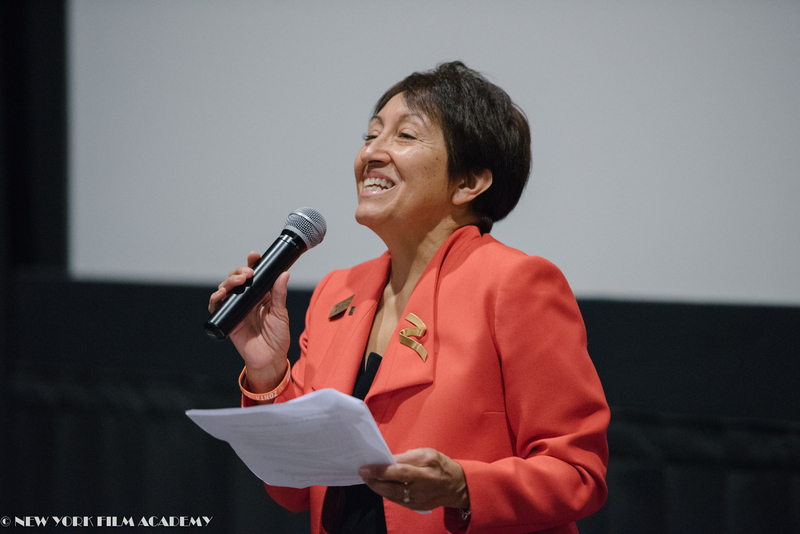 The New York Film Academy would like to congratulate Rosa Falu-Carrion on for being selected for the Wing Grant and for her keynote speech at this year’s Luna Fest. The application for the Wings Grant opens on April 30 and September 30. 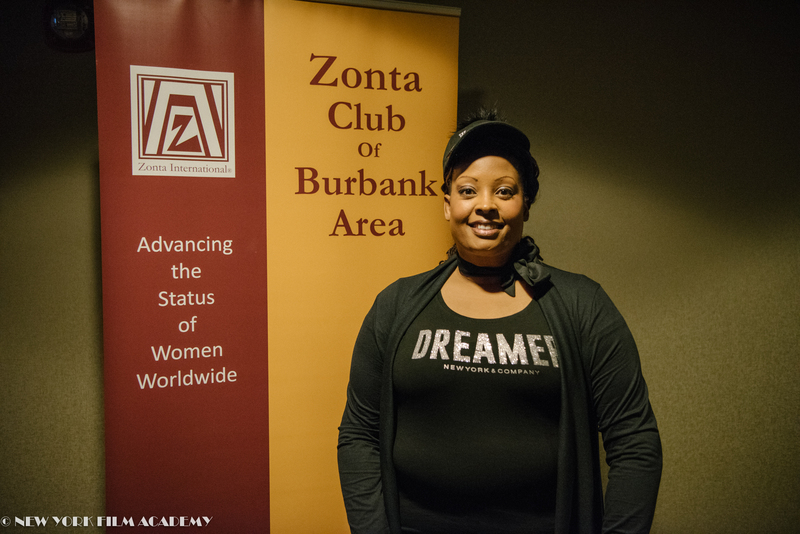 To learn more about Zonta of Burbank click here. On June 24, The New York Film Academy College of Visual and Performing Arts (NYFA) Veteran Services Department was fortunate to collaborate with Hire Heroes USA (HHUSA) to host a daylong exclusive employment workshop for NYFA’s veteran students. The NYFA military students also benefited from one-on-one time with the Transition Specialists from HHUSA. Hire Heroes USA is a nonprofit that provides free, expert career coaching and job sourcing to hundreds of transitioning U.S. military members. 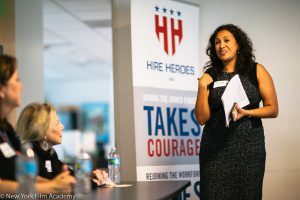 Hire Heroes USA is a nonprofit that provides free, expert career coaching and job sourcing to hundreds of transitioning U.S. military members, assisting veterans and spouses with finding employment. 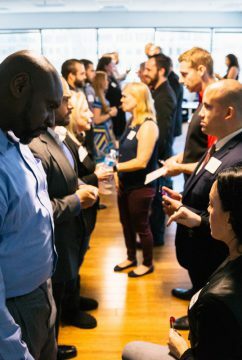 The first half of the eight-hour workshop was a practicum related to resume theory, networking techniques, and how to affectively prepare for an interview. 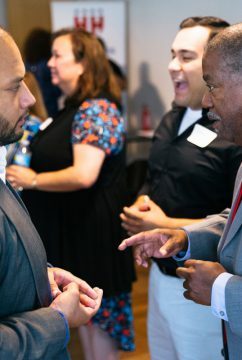 Representatives from Hire Heroes USA, Jamie Rimphanli and Walter Serrano, coached veteran students on how to properly format their resumes and discussed, in-depth, the importance of networking and how to prepare for a job interview. For the second half of the workshop, industry professionals from Disney Studios, Warner Brothers, Paramount, Legendary Entertainment, and Plan A Locations joined the workshop for a moderated Q&A panel discussion. Panelists discussed how they began their careers in the entertainment industry and how they’ve navigated their careers for success. Highlights from the day included an exercise that had all of the participants do a speed networking session. Also, HHUSA brought a photographer who took professional head shots for the veteran students’ LinkedIn pages. 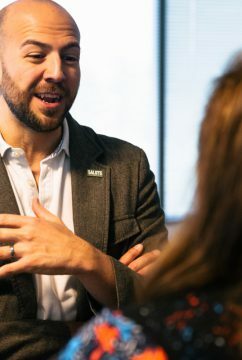 “We felt that this training and these types of vet student-centric activities are increasingly important because they help prepare our students to meet with HR/Talent Acquisition teams from the major studios,” explained NYFA Director of Veterans Services Department John Powers. 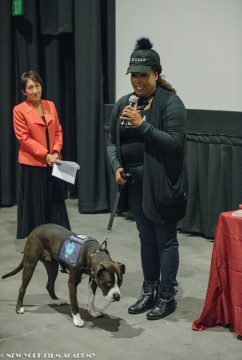 The NYFA Veteran Services Department is extremely grateful to Hire Heroes USA for partnering with us to bring this wonderful opportunity to NYFA veteran students.